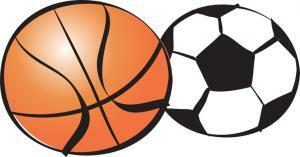 Congratulations to the BVM Girls Basketball and Girls Soccer teams on reaching their winter MSAL Championship Games! Basketball games will be played in the new gym. Soccer will be played in the stadium. Click the link below to access registration information. Tryout dates and times will be shared online, in the daily student bulletin and in P.E. classes as they are scheduled. Boys and Girls Basketball Schedules have been revised. Please refer to the schedules below for the most current information. Bring: P.E. clothes or other clothing appropriate for exercise, cleats, shinguards. Bring: P.E. clothes or other clothing appropriate for exercise, proper footwear. Winter Intramural Sports Game Schedules are below. Schedule changes will be announced on campus whenever possible and communicated to players directly by their coaches.